Human Skin Cells: The Next Anti-Aging Frontier? Call us biased, but the skincare industry in particular is one of our favorites to watch when it comes to technological advancements. From laser zapping to weird-looking at-home devices, the anti-aging sphere is constantly evolving, with new treatments and procedures being launched on the daily. Just 10 years ago, Blackberries (the phone, not the fruit Gisele Bündchen says she avoids) were still the epitome of cool, and no one except makeup artists ever used the word “contouring.” Ten years from today, will wrinkles, dark spots, and sagging be a thing of the past? It’s a slightly exhilarating (and also completely terrifying) thought. 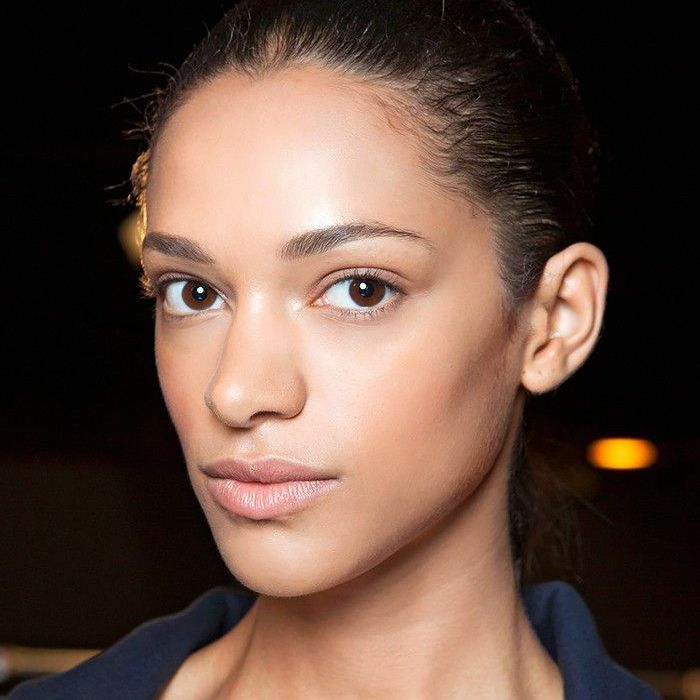 As beauty editors, it’s our job to stay on top of all that’s new in the quest for younger, tauter skin. Right now, we’re intrigued by a new ingredient trend that’s very unexpected (yes, even compared to salmon sperm): human stem cells. Yeah, we’ll let that sink in for a minute. If applying a stranger’s stem cells on your face sounds creepy or the start of a very niche horror movie, you’ll want to keep reading—the information ahead might just change your mind. We asked Dr. Hal Simeroth, founder of Stemology skincare and possessor of a PhD in Bioethics, to tell us if human stem cells (and their extracts) are the key to eternal youth—or, at the very least, a more prolonged youth. Ready to get really scientific? Keep scrolling to school yourself on this anti-aging trend. Everyone likely has a vague notion of what stem cells are, but it’s probably best to let an expert explain. “The term ‘stem cells’ refers to a rather broad category of cells that participate in tissue generation, regeneration, and renewal,” Hal says. In other words, they are the cells that help you, your dog, and the tomatoes in your vegetable garden heal; humans, animals, and plants all have these types of cells. And this is what makes stem cells special: they’re undifferentiated and have the invaluable properties of self-renewal and differentiation, according to Hal. In layman’s terms, this means they have the much-coveted ability to divide to make more stem cells, and more stem cells… you get the idea. Human stem cells in particular are divided into three primary categories: embryonic, which are the initial stem cells after birth that control the development into a human baby; adult mesenchymel stem cells, which exist in our bodies and are responsible for the repair and renewal of structural tissues; and tissue specific stem cells, which only repair and rejuvenate specific tissues such as your skin. Remember these, because we’ll touch on them again later. Before we dive headfirst into human stem cells, let’s first talk about plant stem cells. In the skincare industry, they’re the popular crowd: They’ve largely been accepted and welcomed with open arms, touted for their skin-regenerating abilities. The idea is that if this stem cell helps a flower flourish in the freezing temps in some far-off exotic locale, then it must be able to keep your skin dewy and glowing too. But does that logic really make sense? According to Hal, not really. “It’s false at a primary level, but true at a secondary level,” he says. Um, what? “The directing of repair and renewal by plant stem cells within the plant is orchestrated by cellular signals that would not be recognized by human cells,” he says. “Plant stem cell material cannot mimic the activity of our stem cells in the human body in a primary way. There are genetic boundaries that cannot be crossed.” So, just because rose stem cells can help a rose grow and flourish doesn’t mean it can do the same for your skin. However, Hal does say that some plant stem cells do provide nutrients and metabolites that have been shown to stimulate human epidermal stem cell production—thus, the “secondary way” he mentions. Either way, he says to always check to see if a plant stem cell material in your skincare product that promises to plump your skin is backed up by scientific research and clinical testing (a quick Google search should yield results). Now that we’ve covered plant stem cells, let’s dive right into the nitty-gritty and talk human stem cells. Hal mentions adult mesenchymal stem cells (MSC) specifically, citing many research studies and scientific papers published over the last two decades about their ability to be the natural “healers” of all our body’s structures—muscle, bone, skin, neural tissue and more. “Because of their potent ability to rejuvenate and repair, and also because they do not carry the negative ethical stigma of embryonic stem cells harvested from human embryos, they have been embraced by many for use in potential clinical protocols,” Hal explains. Right now, these human stem cells have already been in practice in Europe with success and are currently in FDA-approved testing programs in the U.S. Without getting too technical, here’s how these MSCs work. Like a master coordinator, MSCs respond to biochemically transmitted needs from any areas of trauma—for example, if you get a cut, scrape, or a more severe injury. Sensing the need, the MSCs begin to multiply and release different biochemical signals to bring on other anti-inflammatory and immune cells, like a commander rallying his troops to fight a battle. Thus, it would be logical to assume that this healing, regenerating ability that works with wound-healing can also apply to overall skin renewal. “We can conclude from a large body of scientific evidence that MSCs do their work by releasing ‘messengers’ and ‘helpers’ such as growth factors, peptides, and matrix proteins that provide rejuvenating instructions and assistance to the targeted body cells,” Hal says. As we age, these "messenger" proteins the MSCs attract might just be the key to helping our skin renew (read: stay wrinkle-free). Stemology’s hero product (and the product that inspired this story) is their Cell Revive Serum Complete ($189), which lists “human stem cell derived conditioned media” as the number two ingredient after aloe. Notice how it's a human stem cell derived media and not an actual human stem cell. So, what's the difference? Actual human stem cells can actually be grown outside of the body by stimulating human body conditions, and can create a massive number of cells since they’re self-renewing; a single original MSC can generate large numbers of “offspring” cultures that grow naturally and are encouraged to secrete the “helpers” and “messengers” we mentioned earlier. Those growth factors, cytokinal peptides, matrix proteins, and helper molecules are the human stem cell derived conditioned media. “Under controlled conditions, the MSCs are completely removed, so that there are no actual cellular components, and the harvested small secreted proteins are retained in this conditioned medium,” Hal says. 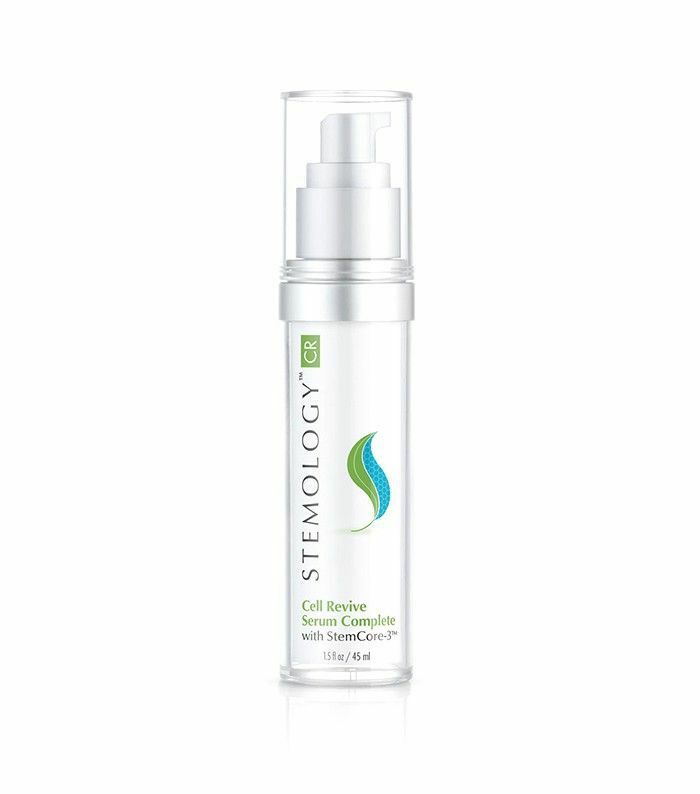 This “conditioned medium” contains all the important, renewing and healing components originally drawn to the human stem cell, which can be integrated into a skincare formula and penetrate the skin. So, no actual human stem cells are being used in topical skincare (yet). But what about all those self-generating powers and benefits we mentioned earlier? Human stem cell extracts sound great, but what about the real deal—the genuine original? Dr. Christopher Calapai, D.O. and stem cell expert says that actual human stem cells can disrupt the skincare industry, but only under three conditions: they’ll need to be from a human who is preferably the one seeking the treatment, alive, and delivered directly to the skin (most likely with an injection). Otherwise, the stem cells are simply too large to penetrate the skin’s surface, and will just sit there instead of absorbing and encouraging other cells to regenerate (which they'll slowly do less and less of with time). Until the FDA approves those things, we’ll be giving products with human skincare extracts our attention. And, who knows—the time when injecting your own stem cells back into your skin might be sooner than you think (a fact we can’t decide whether thrills or frightens us). Learn more about growth factors and their skin benefits. What do you think—are human stem cells the next skincare frontier? Sound off below! Ask a Biologist: Which Anti-Aging Ingredients Actually Work? Discuss: Is the Phrase "Anti-Aging" Actually Problematic?